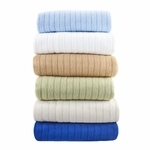 Your source for wholesale linens and housewares in bulk. Palmetto Linen Distributors, Inc. is a wholesale supplier of linens and housewares for the bed, bath, kitchen, and table specializing in providing quality products to the hospitality industry with personal service and fast, free shipping within the Contiguous USA. We strive to make the job of putting together linen packages as easy as possible. Every order and customer request, large or small, is handled with the personal care and attention you deserve. 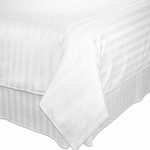 Hospitality Quality Bedding, Linens, and Housewares for Commercial and Business use. 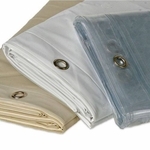 Our products are ideal for Temporary Housing Providers, Furniture Rental Companies, Healthcare Hospitality Homes, Resort Hotels and Lodges, Resort and Day Spas, Camps, Colleges, Universities, Property Management Companies, along with many other businesses searching for hospitality quality linens and home accessories in bulk quantities at low wholesale prices. While browsing our wholesale bed linens, bath and kitchen products, and table linens, keep in mind that all prices include Free Shipping within the contiguous United States. As your wholesale linen supplier, we pay all shipping charges, so you know your exact delivered costs upfront prior to ordering and without having to add any items to your shopping cart. Whether you are a seasoned buyer searching for a new vendor or if purchasing wholesale linens and housewares for commercial use is new to you, we welcome and thank you for the opportunity to help you with your hospitality supply needs. Need a little guidance or have questions about your specific wholesale needs? If you would like help deciding which products will be the best solution for your specific needs or if you have any questions about Palmetto Linen's wholesale products, please feel free to call and speak with us at (803) 599-5410 (Monday - Friday, 8:00 a.m. to 5:00 p.m. eastern standard time) or email us with your questions or request. Thank You to each of our valued customers for the opportunity to serve your needs as your trusted wholesale hospitality supplier - The Palmetto Linen Family.